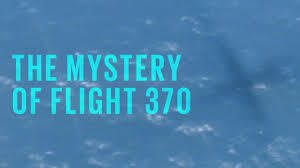 Tonight, as my two sons fly down to Mexico for a spring break visit with their Mexican family, I am haunted by the thought of Malaysian Air Flight 370. 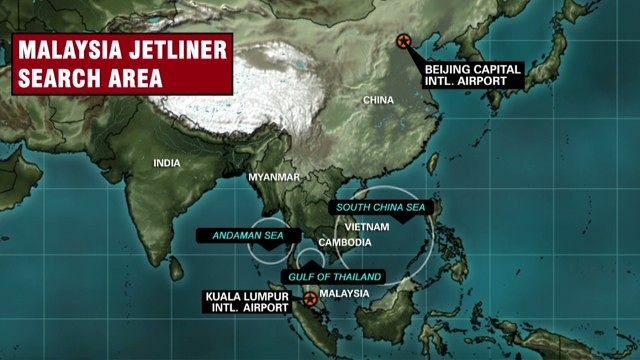 It’s been a week since that plane took off on a routine flight from Kuala Lumpur to Beijing. In a Google Earth world, with spy satellites monitoring every sector of the planet, it is hard to believe that a fully loaded Boeing 777 jet could simply DISAPPEAR. Apparently the spymasters are not as in control as they would have us believe. Theories are circulating wildly on the Internet. The plane was hijacked and landed on some island in the Indian Ocean, a la the TV series LOST. The plane was taken by aliens. This afternoon we began to hear that the plane flew for at least 5 hours after the air traffic controllers lost contact, veering wildly in altitude. This is the stuff of a thousand episodes of the X-Files or, further back, Twilight Zone. If we do finally find the wreckage of the plane, we’ll be breathing a sigh of relief because at least we’ll know it wasn’t taken by the mythical aliens that no one officially believes in, but we all fear might be real. Events like these—along with droughts, floods and storms—remind us that we human beings are not invincible like the superheroes we love to watch on TV or at the movies. Our incredible technological prowess cannot protect us, and indeed sometimes it can lead us into great peril. My heart is with the passengers of Flight 370, and every airline passenger who daily puts themselves in the hands of the crew who flies their plane. Going down over the ocean is a collective nightmare of our time. Next time, it could be any one of us. As the ancient poet said, what can we do but Carpe Diem, live life to the fullest day by day? It is haunting. I can’t imagine what the families of the passengers are going through. This morning’s news finally brought confirmation of the fact that the plane flew up to seven hours after it was last in touch with an airport. Human action almost certainly responsible. But now the experts don’t know if it flew north or south. We may never know what happened to flight #370, because little information is straightforward these days… most is calculated with someone’s interests in mind. Yes, it does seem like the plane was deliberately flown off course–but by who, and for what purposes, remain totally murky. I read somewhere that if it did climb to 45,000 feet, as radar suggests, everyone on board would have been rendered unconscious because the 777 is not designed for that altitude. Deliberate? So odd. I wish I hadn’t watched so many X-files episodes, because this scenario is exactly like one of those writers’ spooky space-alien/human military political plots. Meanwhile I continue to feel deeply for those 239 innocent people on board, and their families. Maybe they travelled through space and time?